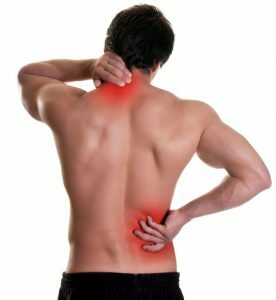 If you are experiencing back pain in The Woodlands, TX it is important to visit a clinic that will be able to help you quickly and at an affordable cost. At Davam Urgent Care, we are able to get you seen quickly without an appointment. Our clinic in The Woodlands, TX is open 8am-9pm, seven days a week, and walk-ins are always welcome. We will always have a board certified medical provider on staff as well as a fully certified Radiology Technician to help diagnose and treat back pain. If you experience a back injury while at work, Davam Urgent Care is able to treat workers compensation patients. Our clinic is in network with most major Texas workers compensation carriers including the Hartford, Texas Mutual, and Sedgwick. We also offer prompt pay discount pricing for on the job injuries. By offering x-ray on site and having back braces and supports in house, we are able to get you back to work in a timely manner. Davam Urgent Care is in network with most insurance plans including Blue Cross Blue Shield, Aetna, Cigna, United Healthcare, and Medicare. We are also able to offer discounted prompt-pay pricing for those without insurance or with high-deductible plans. If you are in need of back pain treatment, visit Davam Urgent Care in The Woodlands, TX. For more information, contact us today at (281) 583-1980.